The city that never sleeps can be an exciting place full of opportunities for new residents. If you are thinking of moving from NJ to New York City, then make sure to pick a mover that will treat you right. Simonik Moving & Storage is dedicated to quality service, a commitment that has earned us BBB-Accreditation and multiple awards. 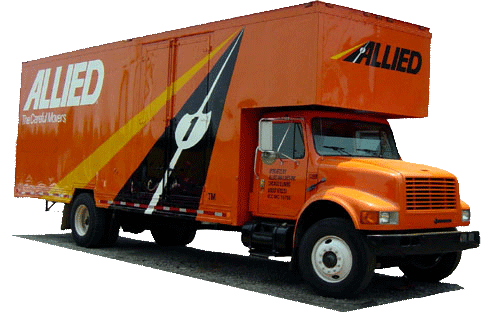 We're also agents for Allied Van Lines. In this position, our company has access to nationwide resources that allow us to move customers safely to any location in the United States. If you need some extra time to complete your NJ to NYC move, we can also store your household items in our secure warehouse facility. Our team will pack your belongings in sturdy containers designed for long-distance shipping where they remain safe until needed. When you are ready for delivery, just let us know. As a ProMover member of the American Moving and Storage Association, we have proudly served customers throughout North and Central Jersey. Our movers remain informed about all of the requirements of local and long-distance relocations, so we can better assist customers in Hunterdon, Mercer, Middlesex, Monmouth, Morris and Somerset counties. Our company has also been recognized for excellent service with the 'Mover of the Year' award from the New Jersey Warehousemen & Movers Association. Simonik is a knowledgeable, experienced team ready to help you complete your NJ to New York City move. You can get more information about Simonik Moving & Storage services by calling one of our friendly representatives. You can also fill out our convenient online form to get a free, no-obligation NJ to New York City moving estimate.